WireLess W.A.V.E.™ Video Systems eliminate costly cable purchases and site installation times associated with direct cable wired networks. Designed for quick and easy deployment this wireless video camera access and control system will reliably gather underwater feed and fish behavior information from over 240 cameras strategically positioned around the farm site. Reliable real time monitoring of feed delivery and feeding behavior ensure that optimum feed conversion rates are achieved and maintained. 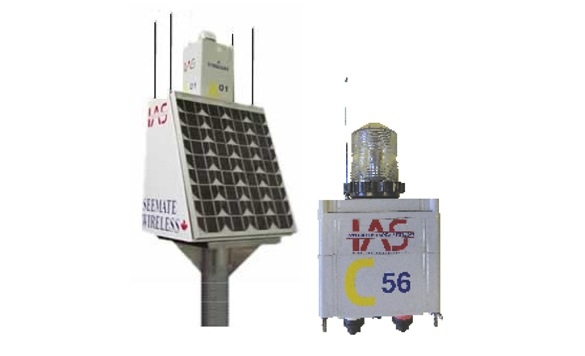 WireLess W.A.V.E.™ Video Systems are designed to maximize operator access to SeeMate™ Underwater Cameras as needed to make important feed delivery and control decisions. The modular approach allows WireLess W.A.V.E.™ to grow as required with the system starting out with one addressed transmitter (POD), one receiver (RECEIVER ANTENNA), and one handheld remote controller (HANDHELD). The POD provides IP68 rated connectors to accept up to four (4) SeeMate™ PRO and PLUS underwater cameras (or any other compatible 12-volt DC operated cameras) for real time video viewing of above and below surface images. A maximum number of sixty- (60) PODs may be added to the wireless network system providing a site operator with the ability to access a total of 240 cameras. 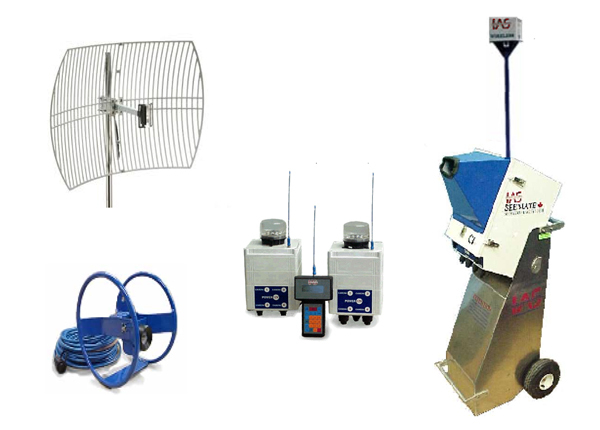 The RECEIVER ANTENNA is available as a monitor console positioned model suitable for either a centralized feed monitoring station or for placement on the bridge of a feed vessel. Alternatively, the RECEIVER ANTENNA may be purchased with a tower assembly and mounting hardware to bolt the RECEIVER ANTENNA unit to the side of any SeeMate™ Monitoring Cart offering best possible site mobility and operator versatility. As with PODs, additional RECEIVER ANTENNA and additional HANDHELD units may be added to the system to meet growing site requirements with the network dividable into independent operating groups for multiple operator access and control. Whatever the site configuration the WireLess W.A.V.E.™ Video System is set up as a secure and proprietary controlled monitoring network. Proprietary data control ensures complete control network security. System operates 12-volt DC at 800 milliamps ensuring long battery life and/or smallest practical solar panel sizing. Network easily divided up to allow multiple users within system. Add PODs and cameras as required with no software changes or special introductions to network. System setup is quick and easy. Add extra boat, camera cart or desktop receiver modules wherever necessary to monitor camera activities. Easily removed, reconfigured and operated as site farm size and layout changes. 60 Pods each connecting 4 cameras provides 240 camera-monitoring locations. Wireless network requires no long camera cable runs between site and monitoring station and avoids costly time lost searching for camera cable breaks or corrosion points.